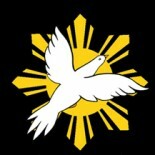 SF CHRP (San Francisco Committee for Human Rights in the Philippines) is a San Francisco based human rights advocacy group. Latest news and views on human rights in the Philippines. Supporters of SF CHRP share a laugh at the Bayanihan Community Center in South of Market during SF CHRP’s yearly Valentine’s Day fundraiser for human rights work in the Philippines (photo by Jack Stephens). We have meetings a few times a month down at the South of Market Community Action Network in the South of Market in San Francisco (at 1110 Howard St. in between 7th and 8th St.), a neighborhood which many CHRP members call home. If you can’t make it to any of our events or meetings please make sure to sign up for our twice-a-month e-mail newsletter. We just had General Assembly meeting on December 11th, Wednesday, at 7 PM at the South of Market Community Action Network at 1110 Howard St. in San Francisco (in between 7th St. and 8th St.). We will be having a “Brown Carabao” (similar to a “White Elephant”) on December 18th, Wednesday, at 7 PM at the South of Market Community Action Network at 1110 Howard St. in San Francisco. SF CHRP just had an Open House on December 15th, Sunday, at 2 PM at Bindlestiff Studios at 185 6th St. in San Francisco. The open house showcased the general members and the executive committee of SF CHRP to the general public as well as showcasing the three major campaigns of SF CHRP: organizing against U.S. troop intervention in the Philippines, Justice for Melissa Roxas and Justice for the Rapada Family. Including our work with Taskforce Haiyan.